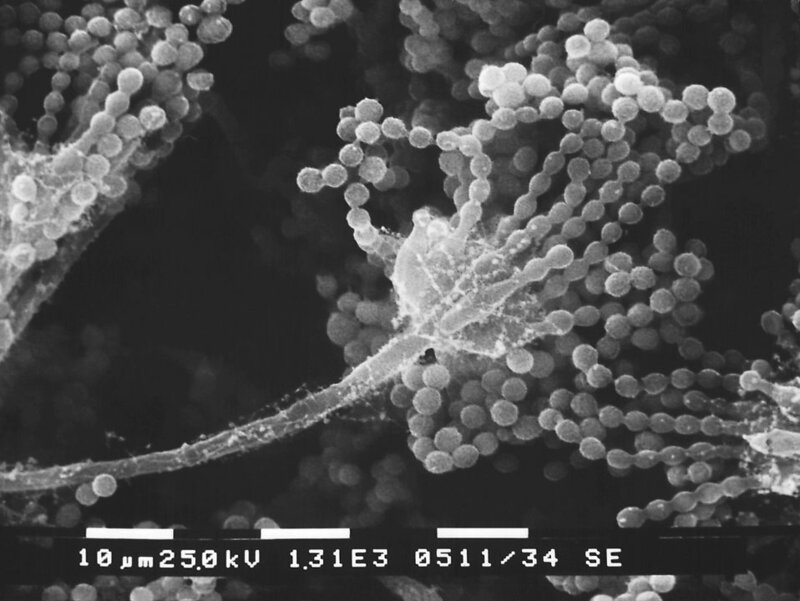 Description: This scanning electron micrograph (SEM) depicts a close up of an asexual Aspergillus sp. fungal fruiting body. This reproductive structure is composed of a septate filament known as a conidiophore, which is topped by chains of conidiospores. Note that the white and black bar at the bottom of the image represents measurements of 10m.